The incidence of celiac disease and gluten intolerance has garnered more attention recently, and with it an interest in finding gluten-free energy bar recipes. 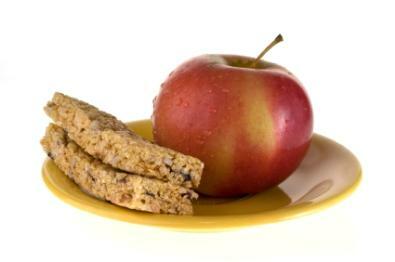 Energy bars have become very popular as people are becoming more health conscious. Healthy bars make a great snack when you are on the go because they offer many essential nutrients, providing they are made from healthful ingredients. This recipe is delicious and very simple to make. It requires no baking and is great for both kids and adults. These bars do not only offer a satisfying snack, they also provide antioxidants, as well as many vitamin and minerals. Another great feature about these bars is that it is quite simple to substitute ingredients. For example, if you don't have almonds you can use another type of nut instead. You can substitute almond or peanut butter if you don't have cashew butter. Dried cherries can be replaced with another type of dried fruit such as raisins or cranberries. Grind the almonds into a coarse texture in a food processor. Be careful that you don't mix them long enough that they become almond butter. In a large bowl, combine the ground almonds with remaining ingredients. Mix with either your hands or a wooden spoon. Pinch off pieces of the dough and shape into little bars or balls. Refrigerate in tightly sealed container for about 24 hours for the best consistency and flavor. These bars can be wrapped individually in plastic wrap or waxed paper and brought along for when you need an energy-boosting snack! Eating gluten-free does not mean you should have to compromise when it comes to flavor or nutrition. Fortunately, as interest in the eating gluten free grows, many more gluten-free products and recipes, including gluten-free energy bar recipes, are being developed. This is good news for everyone living the gluten-free lifestyle.